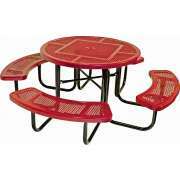 Create an inviting courtyard or outdoor play area with durable furnishings and recreation products from Ultra Play. This fun, functional collection of outdoor trash cans, picnic tables, playground equipment and park benches will encourage everyone to spend more time outside. 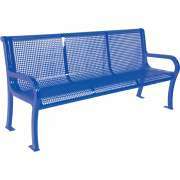 Ultraplay furnishings come with a 25-year warranty for many years of outdoor enjoyment. This tough furniture is built to withstand the elements, maintaining an attractive and inviting appearance in any kind of weather. Colorful picnic benches, playgrounds and garbage cans can be coordinated to create the ideal play area for recess, lunch and breaks. When furniture is purchased that will remain outside permanently, it is important to make sure that it is designed to keep up its strength and appearance, rain or shine. 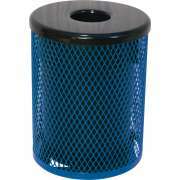 Ultra Play products come in great colors that will not fade in the sun, or wear out in the rain. Perforated surfaces constructed from steel coated with high-tech thermoplastic are incredibly easy to clean and ensure that moisture flows away, rather than building up. 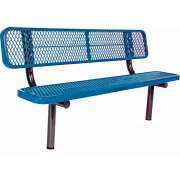 Great outdoor seating will encourage students and employees to take advantage of beautiful days and really enjoy their breaks. 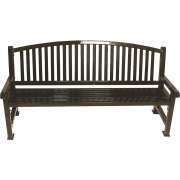 Outdoor benches and chairs come in many sizes and styles. 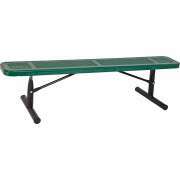 Team benches are perfect for the sidelines of the soccer field or the baseball dugout, while park benches will look great in the front of a building or a small garden. 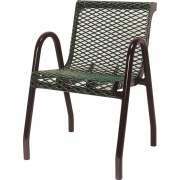 For those who prefer a more flexible option, outdoor chairs are a great choice. 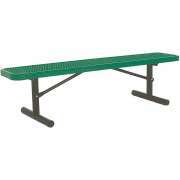 Unlike benches which are mounted on the ground, chairs can be moved around, so everyone can have seating exactly where they want it. This is a great arrangement for a court yard or playground area because teachers can position chairs in the optimal arrangements for student supervision. 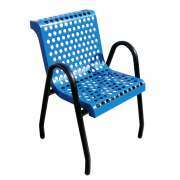 Appropriate seating is just one thing that can encourage people to enjoy their natural surroundings. 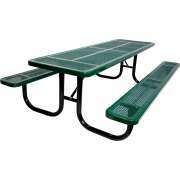 With comfortable outdoor tables, students can enjoy eating lunch outside as well. 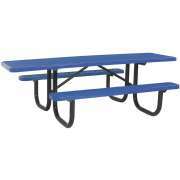 Picnic tables create some enticing overflow seating for the cafeteria on nice days and give students more room to spread out during breaks and meals. Kids of every age will just love breathing in the fresh air and enjoying the sights and sounds of nature while sitting at picnic benches. 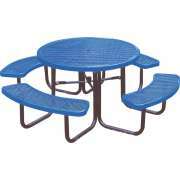 Children's picnic tables are great for a class activity that uses eco-friendly materials. This arrangement will take the mess out of the classroom and let kids enjoy their natural surroundings. 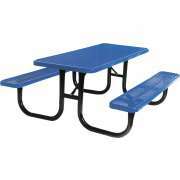 Additionally, if there are outdoor picnic tables near a playground, students who finish eating quickly can go and play, and caregivers will still be able to supervise the whole class. All students deserve to enjoy the weather, no matter what their physical capabilities might be. 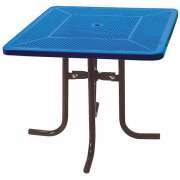 Ultraplay&apos;s ADA compliant tables ensure that no one is excluded. 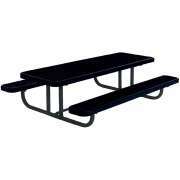 When a school chooses to purchase wheelchair accessible tables, it teaches all students the importance of inclusion. Schools should cater to all students equally, and having accommodating outdoor furniture is just one step in ensuring that this happens. When tables and seating have been selected, it&apos;s time to think about outdoor waste receptacles. Vibrant colors make garbage cans easy to locate, so disposing of wrappers, tissues and other trash becomes a natural thing for students to do when they finish their lunches. 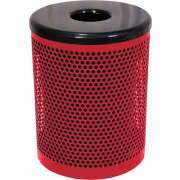 Outdoor trash cans have removable inserts for easy emptying. 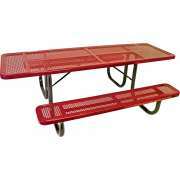 They can be coordinated with picnic tables or used to bring a new shade into the mix. The playground is one of the most important areas in a school. When children have an appropriate place to run, climb, slide and explore during outdoor activity time, they can get their energy out, so they are calmer and more focused when they return to the classroom. 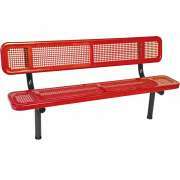 Commercial playground equipment from Ultraplay gives the whole class lots of fun things to do during recess and breaks. Recess is more than just play, it is an opportunity for children to develop important social and motor skills. Ultra play&apos;s playground equipment includes activity panels that promote developmental and educational activities. These hands-on learning opportunities make math and science fun, and encourage children to take initiative to find out more about their world. There are also plenty of fun ways to climb up onto decks and slide back down for hours of outdoor fun. 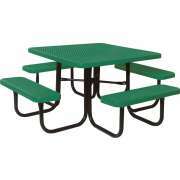 Bring learning outdoors with picnic benches, outdoor seating and playgrounds from Ultra Play. With attractive designs and durable materials, there is no better choice for your school, community center or even office building. If you need help arranging your ideal outdoor space or selecting the perfect model, contact the experts in the Hertz Design Center for free project-planning advice.